Last week, a really exciting thing happened. Warby Parker’s original twelve employees headed down to Guatemala to see the company’s social work in action. After years of mediated communication with our non-profit partner Community Enterprise Solutions, it was amazing to finally see tangible results with our own eyes. Community Enterprise Solutions works in Latin America, training low-income people—primarily women—to administer eye exams and sell glasses at affordable prices to members of their own community, even to those making only a few dollars a day. We’re thrilled to be involved. 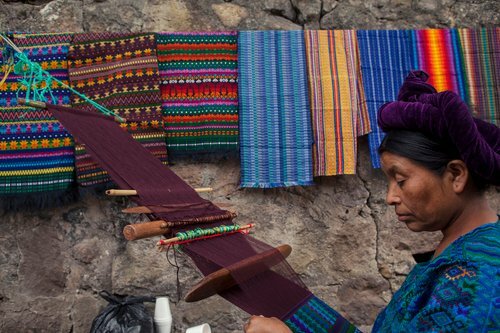 Our team of travelers was blown away by the parallels between Warby Parker’s work in the United States and CES’s work in Guatemala. Like us, they too employ a Home Try-On program—but for water filters! Through a micro-venturing model, they allow potential customers to try out water filters at home before committing purchase, with no obligation to purchase. Sound familiar? Like Warby Parker, CES is all about giving access. They go directly into villages where community members are in need of glasses, and constantly figure out way to cut costs and pass along savings. For many Guatemalans, CES-run stores are the only venues offering free eye exams. And CES, like Warby Parker, only hires people who truly believe in their mission. The trip was great, and it’s far from the last one we’ll make. Going forward, once employees have been with us for three years, they’ll go down to Guatemala to see for themselves what we were so lucky to experience firsthand. It’s an honor to be partnered with such an ethical, effective organization, and there’s no better way to see our social mission in action than in person. Throughout the next few weeks, we’ll be posting personal accounts of the trip—our favorite activities, our most vivid memories. We love keeping you guys posted, and we’re excited to share what we learned.